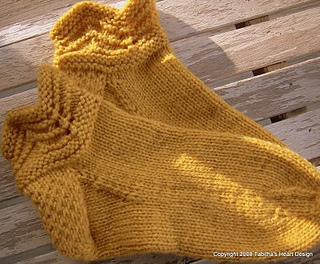 This is a thick, warm sock to keep those toes nice and toasty on cold winter days. 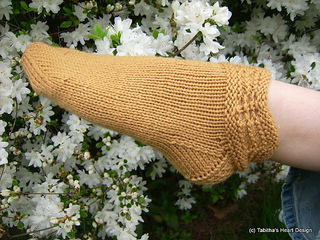 Because it is knit in worsted weight, it is quick and easy. 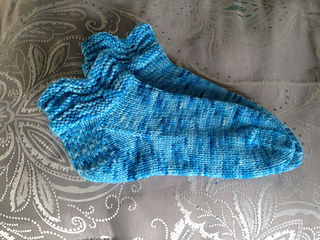 Detailed instructions make the pattern easy to follow for even beginning sock knitters. Pattern is easy to adjust to different sizes. Instructions include non-slip applications for the bottom. This pattern is also available on the Knit Picks website. If you need some help or advice, you may visit the Ravelry group Tabitha’s Heart for tech support or if you just want to show off your projects.